Manicures are a salon service allowing customers to relax and take care of themselves and their hands. Gel polish creates a hard layer on each nail, resulting in strong and beautiful nails. You’ll always want to start any service in the salon with a full consultation. This is a time when you and your client can share information, find out what color she/he would like, if any, and discuss the shape of nail they prefer. First, sanitize hands using a salon grade hand sanitizer. Allow hands to dry completely. Using a cosmetic pad, apply nail polish remover, removing any old polish and creating a clean slate to work with. Apply some cuticle remover to the cuticle area and allow to soak in for a few minutes. While cuticle remover is soaking in, grab your file and file nails into desired shape. Now the cuticles have been softened, push back cuticles with a cuticle pusher. Pour some lukewarm water into a bowl and add an essential oil or mild soap. Allow hands to soak for a few minutes to soften skin. Apply hand scrub and gently massage scrub with a circular motion to remove dead skin. Dry hands well with a towel. Remove cuticle around the nail with a cuticle nipper. Buff nails with a buffer, using the side with more grit first, then the softer side. Apply cuticle oil to cuticle and gently massage, followed by a hand massage with hand lotion. Clean hands well, applying acetone polish remover to nails. 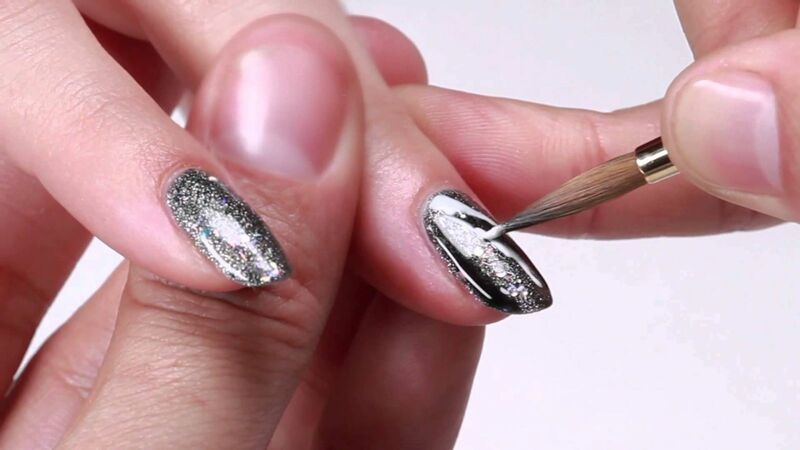 Apply a base coat and allow to dry. Polish two coats of colored polish. Choose a glossy top coat and apply it once colored polish has dried. Finish with a quick dry polish dryer. Choose a natural/neutral color polish and apply two coats evenly to nails. Using nail guides, apply nail guides to nails, leaving the very tips exposed. This step prevents snagging. Using a bright white polish, apply two coats to the ends of the nails, creating the french tip on each nail. Remove guides and apply a top coat. Apply Ph bond to nails to adhere the gel polish. Apply base coat to nails evenly. Dry with UV lamp - 2 minutes. Apply first layer of gel polish evenly. Apply second layer of polish evenly.